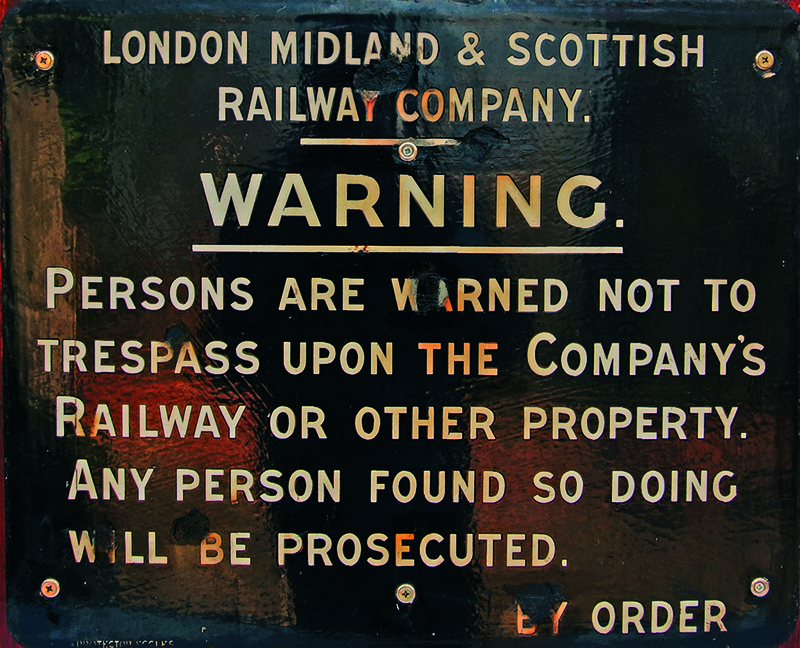 London Midland Scottish Railway Company fully titled, enamel Trespass Notice. White lettering on black ground. Measures 22 x 18, mounted on a wooden backboard. In very good condition with several chips that have been painted over.